The National Institutes of Health is spending over $100,000 studying elderly lesbian, gay, bisexual, and transgender individuals who have Alzheimer's but do not have HIV. The "novel investigation" is part of the "Rainbows of Aging" research being conducted by the University of California, San Francisco. The study began last month. 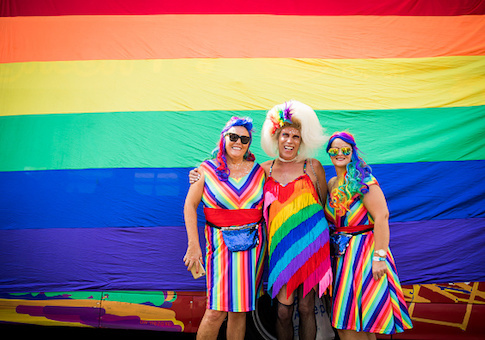 "By 2030, there will be nearly six million sexual and gender minority (SGM) older adults aged 60 and older in the U.S. who identify as lesbian, gay, bisexual and transgender," according to the grant for the project. "Approximately 350,000 SGM older adults in the U.S. currently have Alzheimer's disease and related dementias (ADRD), with projections nearing one million by 2030." "Yet, almost nothing is known about the prevalence or risk of ADRD in SGM older adults without HIV/AIDS," the grant states. Researchers say they will compare incidence rates of Alzheimer's and dementia of "sexual and gender minority elders" with their "heterosexual peers." The project "involves a novel investigation of factors that may be associated with memory and executive function impairment in SGM older adults." The study began on Aug. 15 and has received $142,974 from taxpayers so far. Research is scheduled to continue through June 2023. Researchers said the study is important because "nothing is currently known" about older gays and lesbians with Alzheimer's but who do not have HIV. Further study is necessary to provide "culturally relevant screenings." "Given that nothing is currently known about ADRD risk in this population, this work is necessary to promote early detection; to develop culturally relevant screenings and targeted preventative interventions to decrease ADRD risk in SGM older adults; and to improve the care and quality of life of this vulnerable and understudied population," the grant said.